Frank Abagnale provides entertaining insight into his life as the notorious imposter of the 1960s; a thrilling story told in the award-winning movie and Broadway musical, Catch Me If You Can. By age 21, Abagnale was known as America's most gifted con man, successfully impersonating an airline pilot, pediatrician, stockbroker, college professor, and assistant attorney general, all while cashing $2.5 million in forged checks. You will experience an emotional roller coaster ride as Frank Abagnale describes his escapades and reveals how he learned to live on the right side of the law. Frank Abagnale will then bring you up-to-date on the latest techniques and methods used in the crime of identity theft. Abagnale will give you an insider's knowledge of the critically important topic of identity management. Based on his best-selling book, Stealing Your Life, chosen as one of the Top 30 Best Business Books for 2007, he will provide an invaluable and in-depth look at the business of identity theft, breaches, and social media today. Buffet dinner will be served. All NJALA members in good standing are invited to attend with their Managing Partner or another Partner from their firm at no additional charge (or may attend unaccompanied). Please note that, due to the special nature of this event, no other guests will be permitted. You may also register your firm Partner at the link below. CLM® Application Credit for Functional Specialists: 1 hour in the subject area of Operations Management (OM) towards the additional hours required of some Functional specialists to fulfill the CLM application. If you must cancel, please notify Kathy Dart ([email protected]) before 12:00 noon on Monday, May 13, 2019, or you will be billed for the $75 per person meeting charge. If you have any special dietary or other needs, please let us know and we will do our best to accommodate those needs. 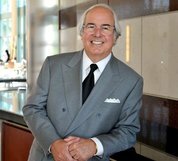 Frank Abagnale is one of the world’s most respected authorities on forgery, embezzlement, and secure documents. For over 40 years he has worked with, advised, and consulted with hundreds of financial institutions, corporations and government agencies around the world. Mr. Abagnale’s rare blend of knowledge and expertise began more than 50 years ago when he was known as one of the world’s most famous con men. His riveting story provided the inspiration for Steven Spielberg’s 2002 film, Catch Me If You Can, starring Leonardo DiCaprio as Abagnale and Tom Hanks as the FBI agent fast on his heels. The Tony-Award winning musical, Catch Me If You Can, directed by the legendary Jack O’Brien, opened on Broadway at the Neil Simon Theatre in April of 2011.